ABOVE: This microscopy image shows a cross section of a liverwort infected with an oomycete pathogen (red). When Sebastian Schornack started his group in the Sainsbury Laboratory at the University of Cambridge in 2013, he was intrigued by the parallels between certain plant pathogens and the beneficial microorganisms that help plants extract nutrients from the soil. Symbiotic mycorrhizal fungi, for example, send branched structures called arbuscules into the host plant’s cells to trade water and minerals for carbohydrates such as sucrose. In a similar fashion, filamentous fungal and water mold pathogens extend finger-like haustoria into plant cells—but in this case, to help the invaders sap nutrients for their own reproduction. 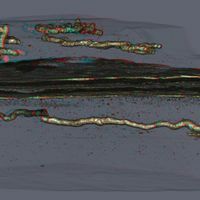 In both scenarios, plants actively accommodate invasion by building a membrane around the structure projecting into the plant cell, and transporting materials to and from that interface. It seemed to Schornack that there were some basic “rules of engagement” guiding these arrangements, suggesting evolutionarily ancient—and thus potentially widely shared—mechanisms for establishing and maintaining plant-microbe relationships, and he wanted to root them out. To do so, he turned to a pathogenic protist known as a water mold, or oomycete, that looks like a filamentous fungus but has a cell wall more like those of plants. The particular species Schornack chose, Phytophthora palmivora, is responsible for devastating epidemics in oil palm and cocoa trees. As a postdoc in Sophien Kamoun’s lab at the Sainsbury Laboratory in Norwich, Schornack found that, in addition to being able to infect a range of crop species, P. palmivora could also infect the roots of legumes, developing an extensive network of filamentous processes, and send haustoria into the plants’ cells. Importantly, the oomycete doesn’t kill right away, giving the researchers time to study the interaction between parasite and host. It was the perfect pathogen for exploring the parallels between such harmful microbial interactions and the mutually beneficial symbioses for which plants are so well known. HELP THY ENEMY: This liverwort is being taken over by an oomycete pathogen, Phytophthora palmivora. As one of his first projects in his new lab, Schornack took advantage of a suite of legume mutants for which symbiosis is impaired. He tried infecting these plants with P. palmivora, and discovered two mutants for which infection was similarly inhibited (New Phytol, 206:497–500, 2015). “I found there is some overlap but not a complete overlap” between the mutualistic and parasitic processes, Schornack says. At the same time, he began exploring P. palmivora’s ability to infect other crops, including tobacco, barley, and wheat. Each plant accommodated the pathogen’s finger-like haustoria, he found. So he decided to try the same thing with these flowering plants’ most distantly related plant lineage: liverworts, moss-like plants with no leaves or roots. If something similar happened in this group of plants, it would suggest that the pathways used for accommodating such invasions were present in the earliest land plants, before liverworts branched off from the rest of the plant kingdom. Schornack did the first test himself. “It was a Friday afternoon experiment,” he says. He cultured P. palmivora with a bit of V8 vegetable juice for a week, then flooded the plates with cold water to spur the pathogen to generate zoospores, sperm-like cells that oomycetes and some other microorganisms use to propagate asexually. Next, he used an eyedropper to transfer the zoospore-rich suspension to the surface of the liverwort Marchantia polymorpha. In both scenarios, plants actively accommodate the invasion. Members of Schornack’s lab have since followed up on these findings. 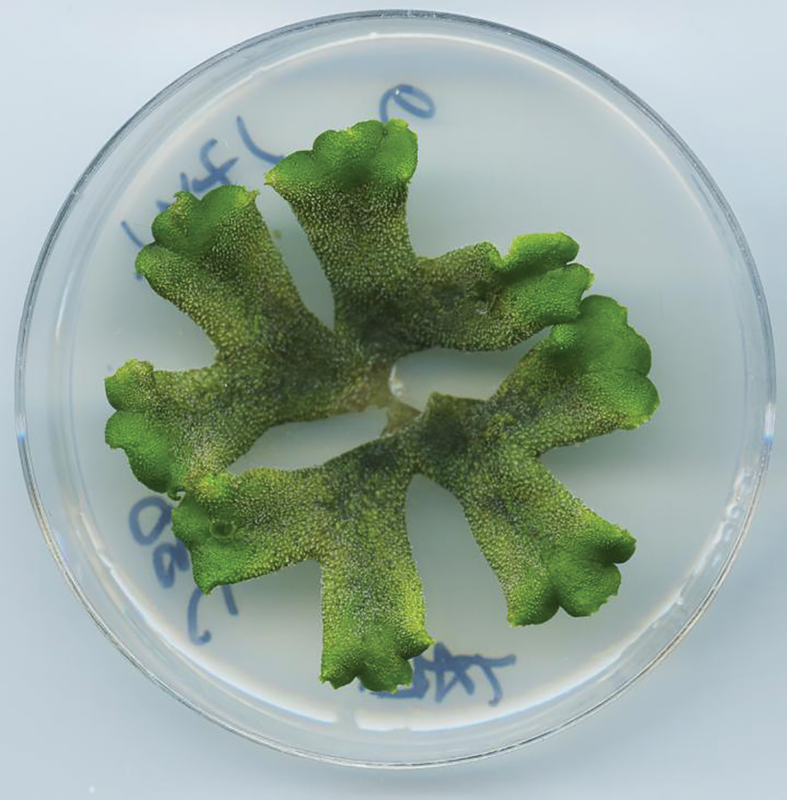 Recent PhD graduate Carolin Alfs, now at the Leibniz Institute of Plant Biochemistry, infected a variety of liverwort species with myriad P. palmivora strains, and each time, the pathogen successfully infiltrated and, within a week, killed the plants. 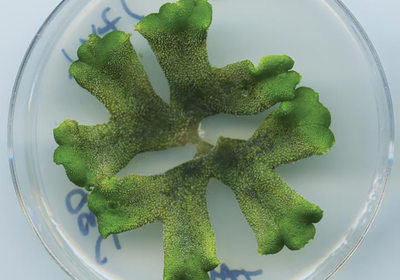 Taking cross sections of the liverworts during the infection, postdoc Philip Carella found that some of the haustoria were not simple finger-like protrusions, but forked in a way that more closely resembled the complexly branched arbuscules of symbiotic fungi (PNAS, 115:E3846–55, 2018). Digging down to the molecular level of the liverworts’ infection revealed further parallels. 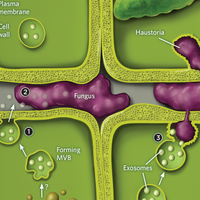 Specifically, a so-called syntaxin protein, known to be involved in the shuttling of vesicles around cells in response to symbiotic penetration, was upregulated in plants during P. palmivora infection. 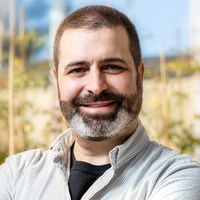 Using liverwort lines engineered to produce a fluorescent version of the protein, Schornack and his team found that syntaxin localizes to the pathogen’s haustoria. “These proteins are not only more produced during colonization, they are actually going where the interactions are,” says Schornack. Sergey Ivanov, a plant biologist at the Boyce Thompson Institute in upstate New York who was not involved in the project, agrees that more common factors need to be identified before researchers can conclude that some of the same pathways underlie both symbiosis and pathogenesis. While Schornack’s work successfully showed “that filamentous pathogenic microorganisms can infect early divergent plants,” he says, researchers will need to complete “more systemic and quantitative analysis” on the role of the syntaxin protein and other potential overlapping factors to assert that the pathogens are exploiting symbiotic processes, as Schornack suspects. But if they are, “that would be really striking,” Ivanov says—that “for millions of years plants kept the same program for so many different microorganisms.